Join us this Spring at a New Member event. More info to come! The JLM holds monthly General Membership Meetings to meet together and energize, inspire, and motivate members. 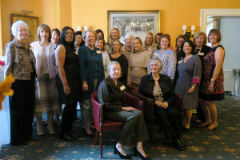 As part of our ongoing commitment to developing the potential of women we particpate in AJLI conferences and ODIs as well as NJ State Council trainings. Many of our 200 Sustaining members hold positions at local area nonprofits including Cornerstone Family Programs, Homeless Solutions, Mayo Performing Arts Center, The Seeing Eye, Macculloch Hall Historical Museum, and many more. The Junior League of Morristown (JLM) will kick off its Little Black Dress Initiative (LBDI) the week of November 12th. LBDI is a poverty awareness and fundraising campaign that sheds light on the “invisible poverty” that surrounds us, with the goal of raising awareness and funds to help lift the burden carried by the most vulnerable in our community. The 2018 Federal Poverty Level for a family of four is $25,100 for the year. JLM is aiming to raise that same amount in five days. In preparation for the LBDI, the JLM brought together community organizations for a Community Panel discussion on “invisible poverty” in Morris County. Representatives from Neighborhood House, Roots & Wings, and Vision & Pathways addressed the League at their October membership meeting to educate and share how their organizations are working in the community. League members throughout Morris County will wear one black dress for five days to illustrate the effects poverty can have on a woman’s access to resources, confidence and opportunities. They will wear a pin that says, “Ask Me About My Dress,” to spark conversation and spread awareness of the initiative and its objectives. CMHC focuses on educating children and their families and the importance of leading healthy lifestyles. We encourage and educate children and families on daily exercise and healthy eating habits with a busy schedule and on a tight budget. The Colonial Closet at Morristown High School (MHS) aims to support, with dignity, its students who are struggling economically. According to the 2016-17 NJ School Performance Report, there were 1,794 students enrolled at MHS with 25% of them considered to be Economically Disadvantaged. The Colonial Closet was established in late 2015 by the school’s Social Worker after recognizing some of her students basic needs were not being met. It is now organized and facilitated by the school and its Home & School Association (HSA). The JLM’s partnership with the Colonial Closet began in 2016 after the JLM dedicated its focus on addressing the unmet needs of teens in Morris County. Click here for a fact sheet about the JLM's impact through the Colonial Closet. Since 1986, the Junior League of Morristown has awarded over $200,000 to High School seniors in Morris & Somerset Counties who demonstrate an outstanding commitment to voluntarism in their school and community. For the past 11 years, the JLM began awarding a $2,500 Women Moving Forward scholarship to a woman 40 years of age and older, who is planning to attend or is attending college or trade school after taking time away from school. 2017-2018 Scholarship Award winners will be contacted in early April. The formal awards ceremony will take place on Wednesday, April 26th during our April General Membership Meeting. The Junior League, one of the oldest, largest and most effective women’s volunteer organizations in the world, has matured and evolved since it was founded by social activism pioneer Mary Harriman in 1901. 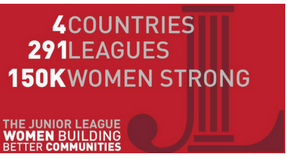 Strength in numbers: JLM is a part of an international network of 291 Leagues made up of over 150,000 women, in four countries, engaged in life-changing work in their own communities. 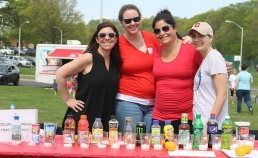 The JLM has been working for change within the Morristown community for 81 years! To learn more about our League, please review our Fact Sheet. To view our 2017-2018 Annual Report, click here.